In the 21st century, everyone is in the technology business. Are you using technology to keep the lights on or to get closer to your customers? In September 2015, Halifax Regional Municipality’s ICT division launched its rebranded Self-service Portal across the organization. The new service portal offers 5000 employees a revolutionary change of their ICT online experience – modernized, consumerized, easy to use and simple to navigate! From ideation to fruition, Victor will showcase how his team’s creative and unique approach resulted in a 35% self-service adoption rate increase. This session will highlight how to keep a clear focus on “User Experience”, leverage cross departmental collaboration, conduct UX surveys, host ‘Lovers & Haters’ brainstorm workshops and interactive UATs. It will also include a live ‘behind-the-scenes’ portal demo that will inspire the audience to embark on a similar journey to maximize the value of a centralized service portal. 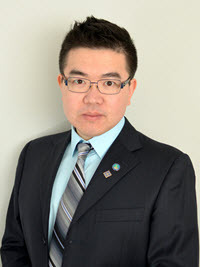 Victor Zhu, Certified ITIL Expert, IT Service Management Coordinator with the Halifax Regional Municipality. Victor is an active and passionate speaker in the itSMF Canada Atlantic region, who has a wealth of knowledge and experience in IT Service Management process design, automation and governance. He is a strong advocate of ITSM best practices and has a forward-looking vision with hands-on expertise implementing and improving: incident management, request fulfillment, service level management, service catalog management, change management, knowledge management and CMDB. Victor values service-centric automation and user experience design. He is passionate about leading and driving the service and process transformation journey in both IT and business domains that deliver meaningful outcomes, true business value and exceptional process experience. He strives to leverage the modern age of ITSM trends to build a pragmatic Service Management practice that will remain relevant to the organization's future.